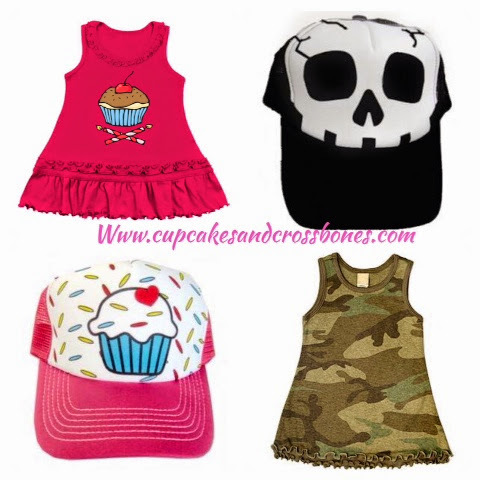 As of recently Cupcakes & Crossbones has added new merchandise to their store for summer. As usual they have styles from sweet and cute to rockin and fun! So if you haven't headed over to the online store yet, now is the time. With competitive prices and the most stylish kids clothes there is no reason not to go over and check out all the great items they have available for you. Great as a gift or for your little one, you will not be disappointed. 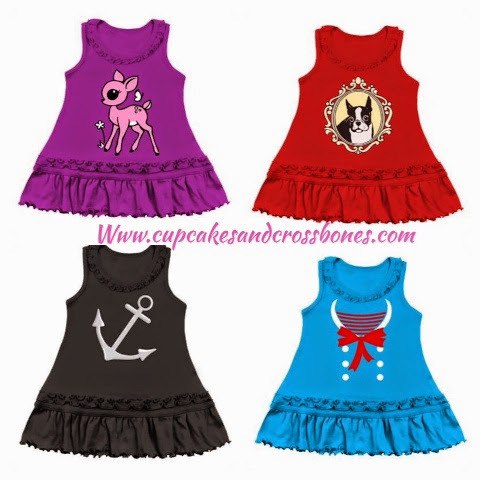 So head over to www.cupcakesandcrossbones.com and get some of these awesome kids and baby clothes before they are gone. What do you think of their new stuff?! THAT CUPCAKE HAT. I die.